Electric vehicles play an important role in the goal of reducing greenhouse gas emissions, global warming and lowering dependence upon foreign oil. 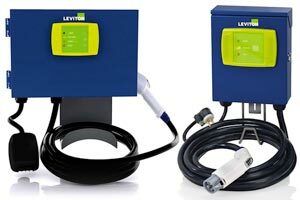 Our partnership with Leviton and Schneider Electric allows us to provide our commercial and residential customers with electrical vehicle charging solutions. Our charging stations (fixed or portable) are safe, reliable and will meet the demands of the rapidly growing electrical vehicle market. Ask us about setting up your residence, office, or other location with the technically advanced charging station that’s right for you. We handle all sales, installation and service, and our prices are second to none. Call or email us, or fill in the request form on this page for more information.